Real-time recommendations ensure we avoid compliance and brand risk by not contacting customers affected by a disaster. Real-time recommendations ensure we avoid compliance and brand risk by not contacting customers. Accurate micro-targeting lets us pinpoint those not directly affected – so we can keep calling, even within a disaster zone. Accurate micro-targeting pinpoints those not directly affected – so we can keep calling, even within a disaster zone. See for yourself with our FREE 30 day trial. What’s your disaster operations strategy? When a natural or man-made disaster strikes your customers, do you know how to respond - where to suspend contact and when to resume? If you're relying on traditional strategies that are too narrow - tracking only hurricanes - or much too broad for your capabilities - forcing you to scan the Internet for news - you're likely bringing inefficiencies to your operation and exposing your brand to unnecessary risk. What is the Disaster Decision Engine? By tailoring your contact strategy before, during and after disaster events you demonstrate compliance while driving a stronger positive relationship with consumers impacted by crisis events. Sending the right message at the right time can boost positive brand image and result in a more loyal customer. Our accurate and timely intelligence ensures you remain in compliance with regulations during disaster events. By rapidly adjusting contact strategies to avoid inappropriate outreach you show compliance with no-contact regulations. Our automated alerts can streamline implementation of your contact strategies, saving you time and money. With accurate and timely information automatically delivered, ContactRelief can reduce reliance on and even eliminate manual processes, improve efficiency and drive cost out of your policy implementation efforts. 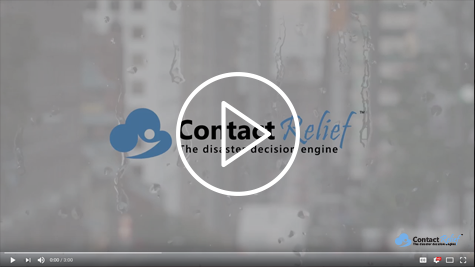 ContactRelief’s Disaster Decision Engine does the work for you. Our automated system integrates trusted data sources with your user defined rules to provide intelligent insights that ensure your organization’s success, all from a single mouse click. ContactRelief recommendations are reviewed by industry experts to ensure accuracy and delivered in near real time. No waiting for inaccurate or imprecise data sourced from incomplete data sources. Our recommendations can easily integrate with your call management system and be designed to automatically be broadcast to partners and other members of your contact team. Creating a seamless disaster-oriented action plan is simple using ContactRelief’s actionable intelligence-based recommendations. Ready to Avoid a Contact Strategy Disaster? The next disaster is on its way. Avoid a contact strategy disaster by relying on the disaster contact strategy experts at ContactRelief. Get advance warning of impending events. Automate your contact suspension and resumption decisions based on type and severity of the disaster. 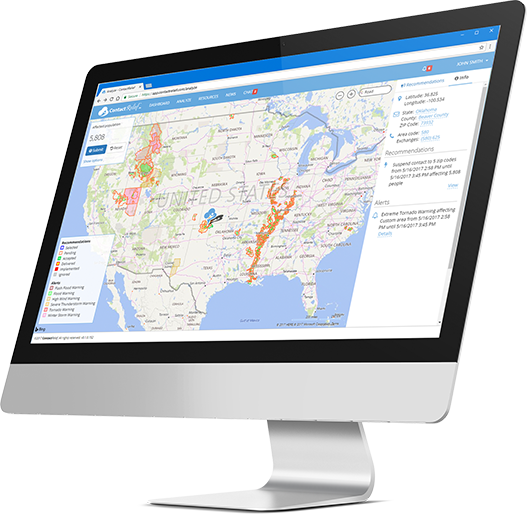 Issue real-time directions to your internal and external contact operations. There is no obligation and no credit card required. Start Free Trial Find out how with a product demo No thanks, maybe later.